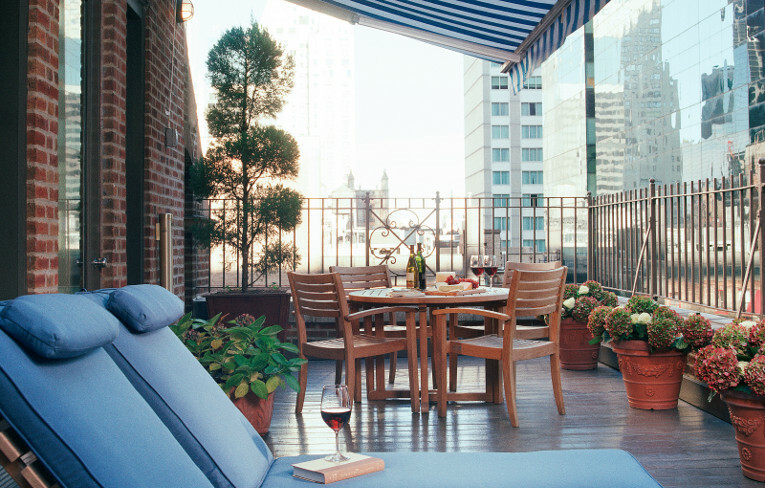 North America more in "New York"
Blakely New York is a 4 Diamond AAA rated, luxury, boutique property, located in the heart of Midtown Manhattan. 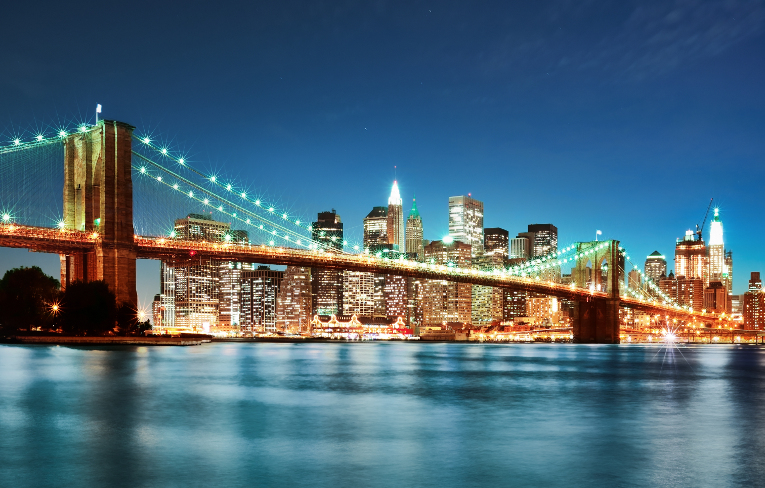 Conzerge provides guests with unparalleled access to New York City! This service is exclusive to the world's best hotels - making your travel personalized and easy to experience all that New York has to offer. Imagine the view overlooking New York City from the 17th floor of one of the area's finest hotels. Now imagine that's where you're hosting your business meeting or corporate event. Event coordinators will help you set the stage so your meeting or event will be a great success. Offering you tradition and luxury with a professional staff committed to taking care of all your needs. 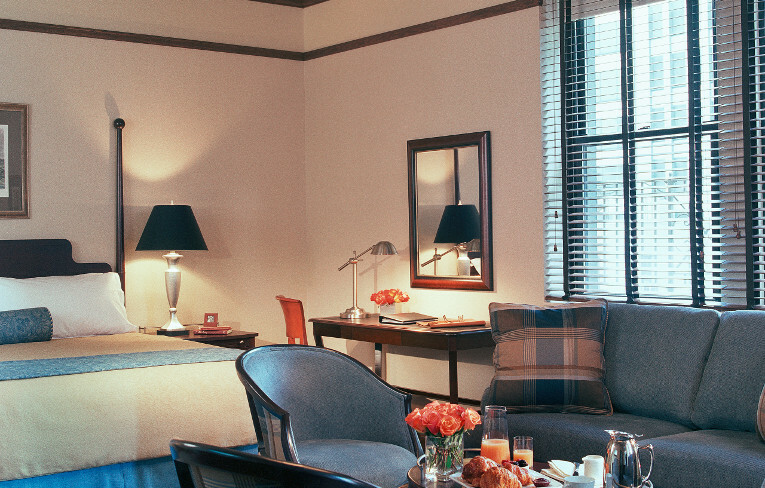 Attention to detail sets The Blakely New York apart from other hotels, giving you a traditional New York City experience. 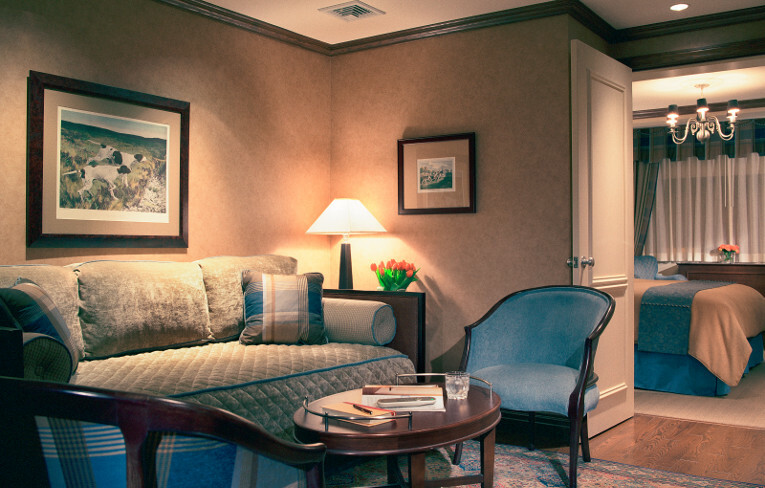 Whether it is the rooms' cherry furnishings and oak baseboards, pillow-top mattresses and Egyptian cotton linens or marble bathrooms with Frette robes and Penhaligons Amenities, nothing is overlooked. 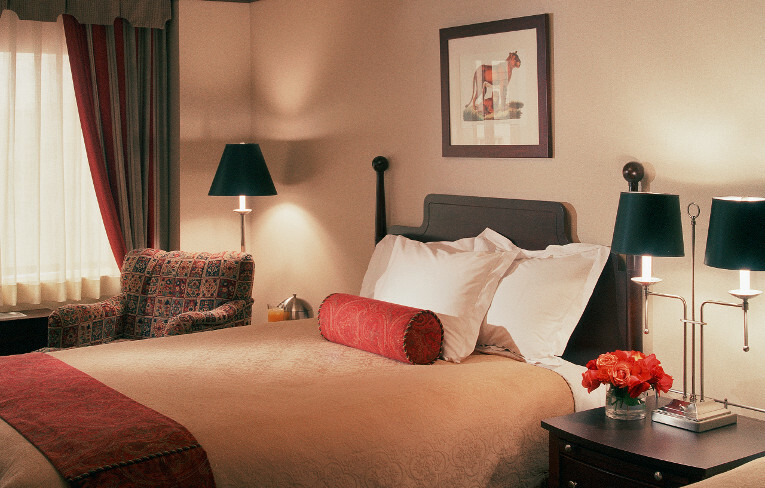 Weekend, nightly, and extended-stay travelers alike need a hotel that is truly a "home away from home." 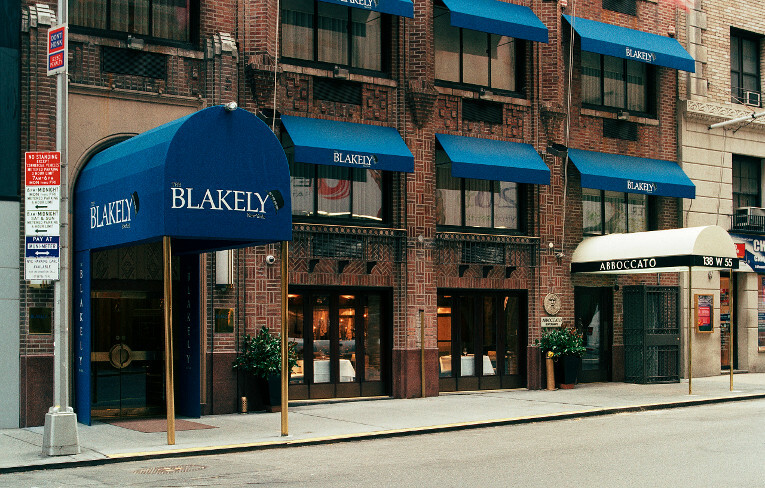 Our guests return to us time and time again because no one does it better than The Blakely New York Hotel. 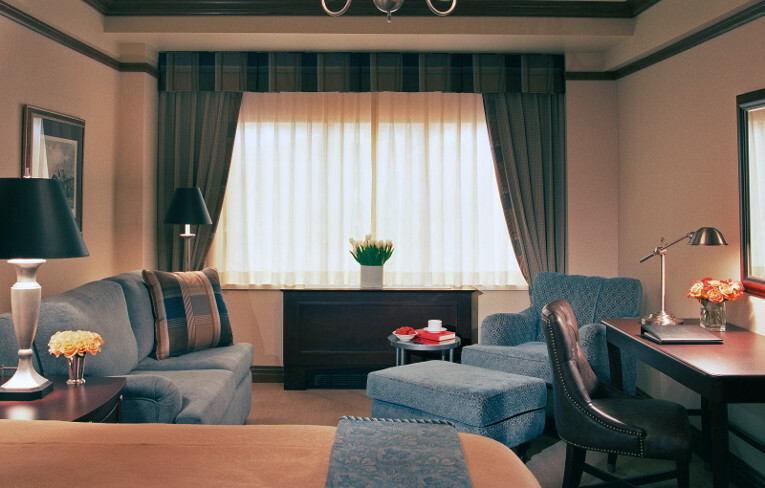 Our spacious rooms and suites give guests the room they need to relax and work in comfort. 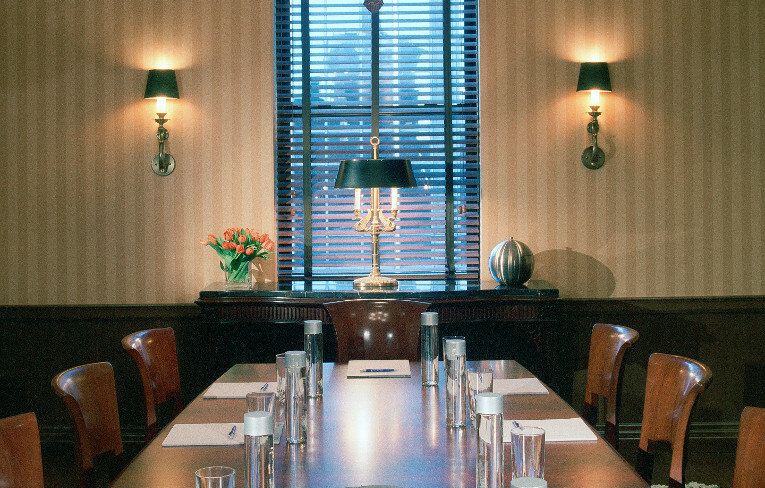 The Blakely New York has a spacious boardroom, comfortable for 14 people. Located on the Penthouse floor, the boardroom has plenty of natural light as well as a garden terrace with New York City views. Fully equipped for all AV needs and catering abilities, this intimate meeting space is surely to fulfill any meeting space needs. There's so much to do in NYC! Take advantage of our complimentary 24-hour Conzerge service to help you personalize your trip. Our area guide lists incredible places you can visit in New York City.